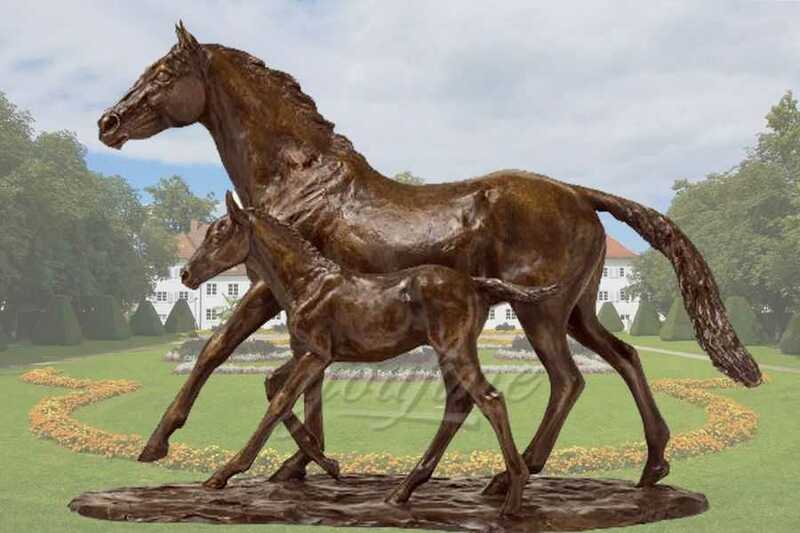 This beautiful Vintage Bronze Horse Statues captures with artistic mastery and intriguing realism all the magnificence of the wild horse in a fiery pose. Available to be produced at the scale you require. 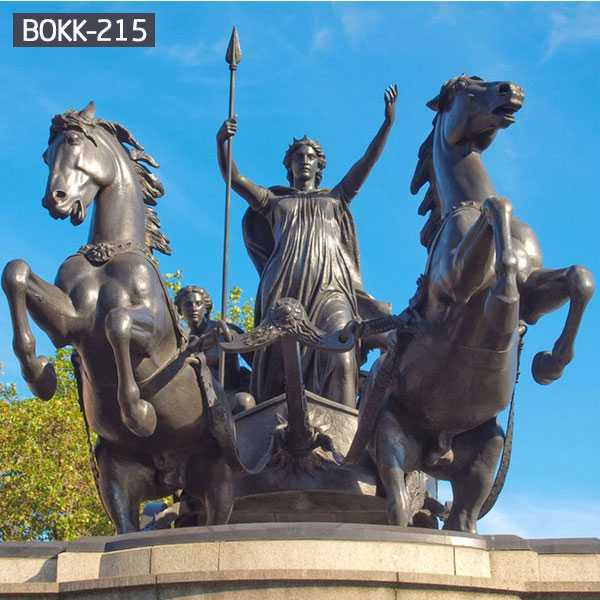 Please contact us today for personal sales assistance.Any Bronze Chariot Statue you want,or other bronze horse statue,we could also custom made any sculpture in bronze.If have some requirement please contact with us right now ! 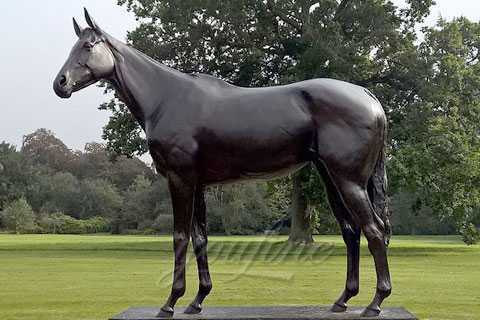 The Vintage Bronze Horse Statue is represented in the form of a Greece vase or statue as the carriage of God or hero. 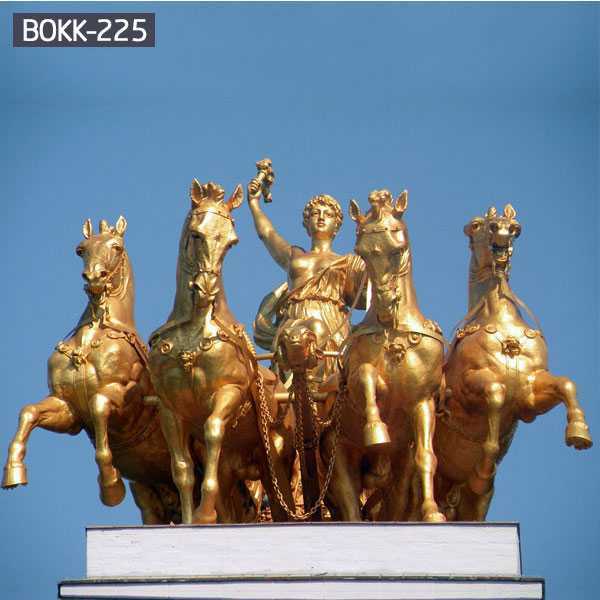 Quadriga was adopted in the race of ancient Roman carriages. The quad-Riga was a symbol of victory. Victory or fame is often portrayed as a victorious woman driving it. 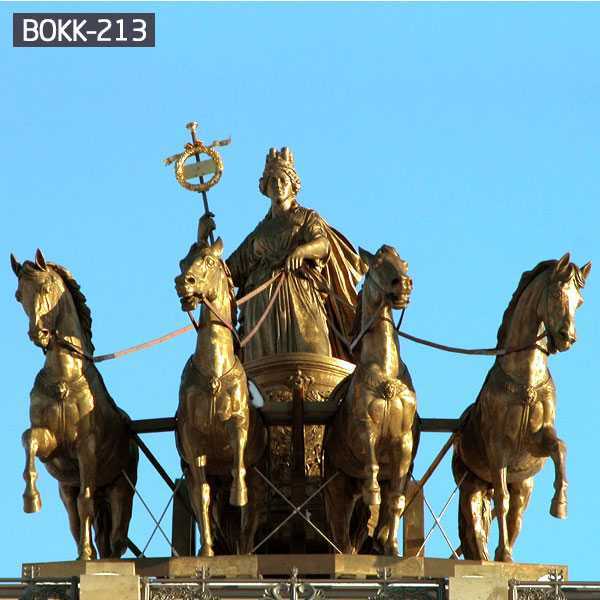 In the classic myth, the square is the carriage of God. Apollo drove his rectangle over heaven, delivered daylight, and sprinkled the night. Ancient Sculpture Gallery is proud to present you with lost wax bronze reproductions of statues and busts from the Egyptian, Greek, Hellenistic, Roman, Asian Oriental, and Western civilizations. 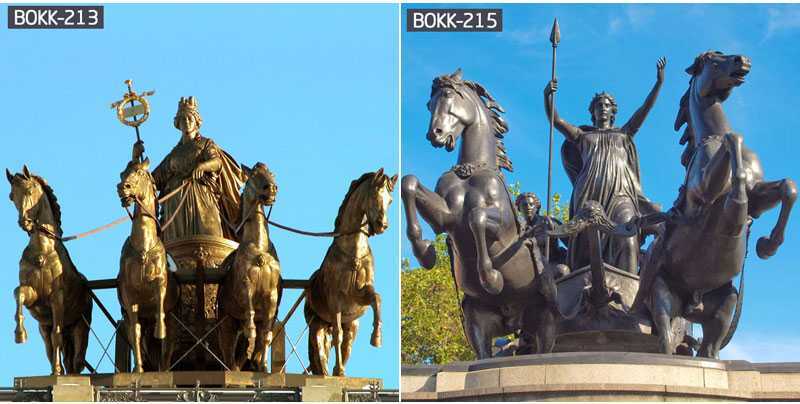 “Lost Wax” bronze (or hot-cast bronze) is actually 100% pure Bronze – essentially copper and tin. 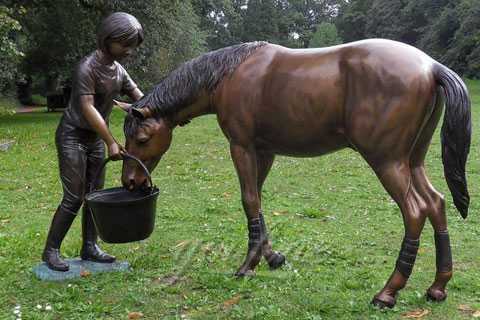 Vintage Bronze Horse Statues enrich the beauty of the garden. These three-dimensional pieces of visual arts give life to the room especially in outdoor settings like patio, gardens and backyards. 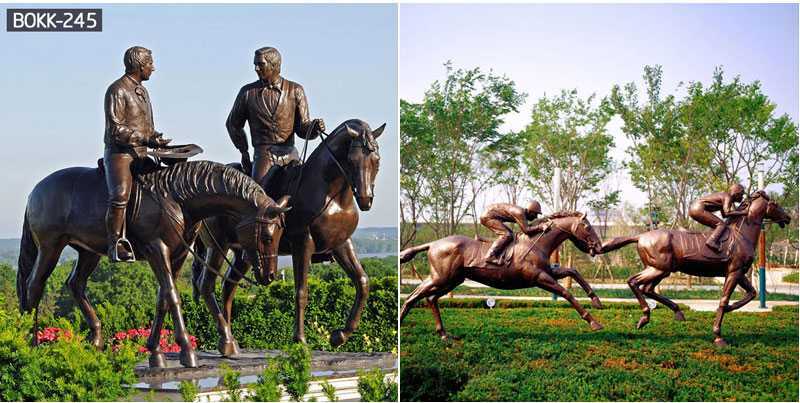 With the assistance of skilled professionals, we are able to provide finest quality assortment of Vintage Bronze Horse Statues. The offered product is designed and manufactured by using high grade quality raw materials and sophisticated techniques in accordance with set industrial standards. 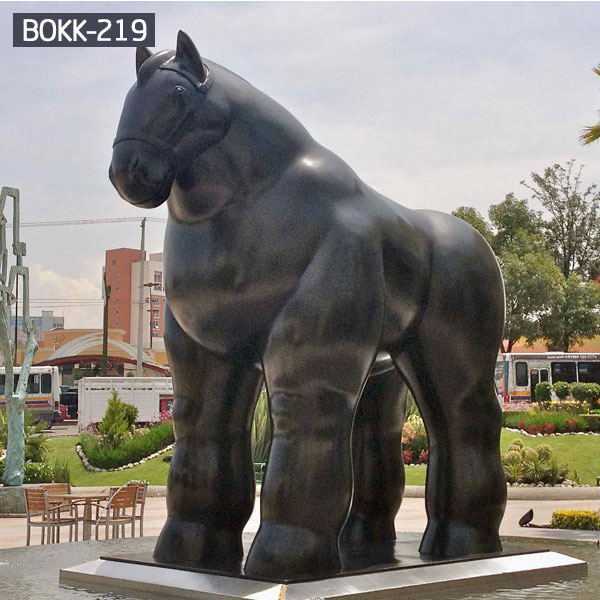 So any question about Vintage Bronze Horse Statues or have requirement about other bronze animal statue,please contact with us right now !